The Religion, Gender & Identity (RGI) Initiative consists of research findings and analyses on issues related to the integration of women of faith in global affairs. With an emphasis on understanding women’s roles in religious freedom, conflict resolution, and peacebuilding—and their intersection with policy and practice—the initiative serves as a platform for the pursuit and presentation of original research and as a resource to help equip leaders to better realize and utilize the imperative roles of women in all forms of decision-making and agenda setting, globally. To-date the Religion, Gender & Identity Initiative has performed analysis of existing religion and gender research. This includes annotated bibliographies of current research according to specific regions of the globe. The Religion, Gender & Identity (RGI) Initiative is a collaborative partnership between CWFL and Influencing Voices (IV), a consulting company that empowers women for personal and professional excellence. 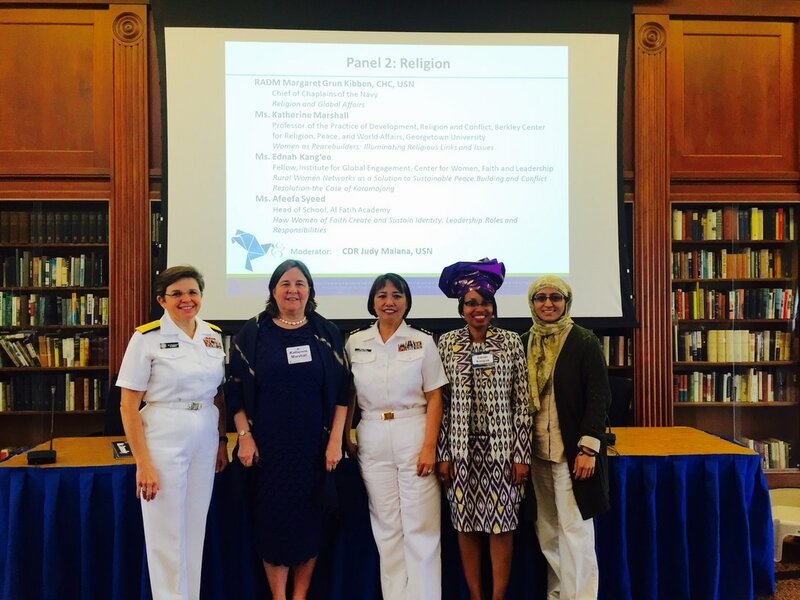 For over two years, CWFL and IV have used qualitative research method to conduct interviews for RGI with women representing multiple faith traditions both within the U.S. and globally. 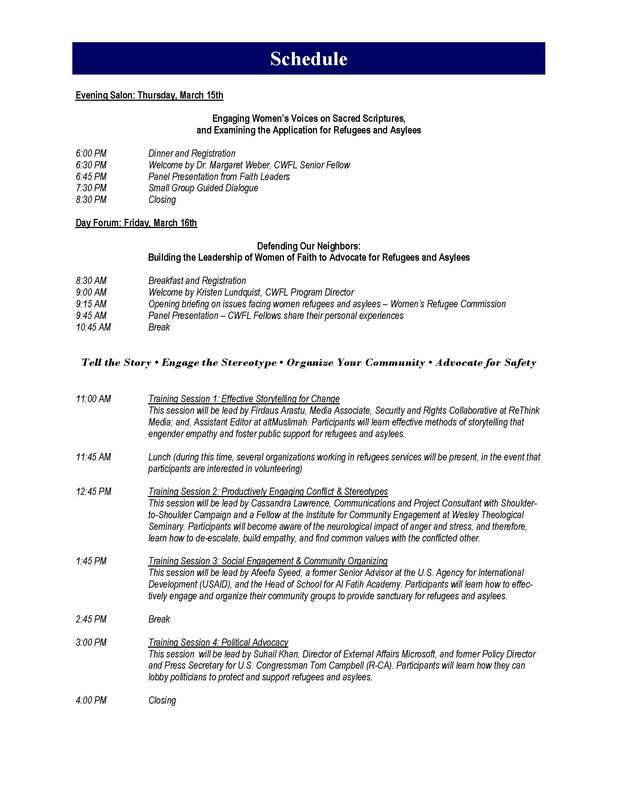 This has included conducting focus groups utilizing a modified life course method (Giele, 2008 and Weber, 2015) with small groups of 4-6 women representing Christian, Jewish, Islamic, Buddhist, and Baha’i faiths within the U.S. and globally. Utilizing information from this research, RGI staff have offered presentations and publications through applicable internal and external conferences and seminars, including white papers, journal articles, and book chapters. CWFL is excited for a forthcoming comprehensive publication of RGI research findings in 2017! Interested in hosting an RGI focus group? In 2016, the Center for Women, Faith & Leadership launched a monthly online series for women of faith. The series, “Lean In to Your Faith: Meeting Professional Challenges with Spiritual Resources,” features the wisdom of professional women who have achieved a high level of leadership and have led from the foundation of their faith. These women (hailing from many different sectors, disciplines, and faith backgrounds) have encountered difficult challenges, yet have ultimately triumphed over them. They come to our series to share their experience along with some helpful tools, which fellow women of faith can utilize in their effort to build confidence, live out their faith, and pursue their personal and professional passions for global change. All gatherings took place on Adobe Connect, an online webinar platform. Margaret J. Weber, Ph.D., is a Senior Fellow for IGE’s Center for Women, Faith & Leadership, overseeing the Religion, Gender & Identity Initiative, and serves as Chair of the Advisory Council. Prior to joining IGE, Dr. Weber served as Dean and Professor, Graduate School of Education and Psychology (GSEP), at Pepperdine University (and leadership positions at Oklahoma State University). Kit Bigelow is an American internationally recognized religious freedom and human rights advocate. She is based in Washington, DC. As director of external affairs for the National Spiritual Assembly of the Bahá'ís of the U.S. for twenty-five years, she represented the National Spiritual Assembly in the promotion and protection of human rights, including religious freedom, the advancement of the rights of women, U.S. ratification of UN human rights treaties, and the elimination of racism. Afeefa Syeed serves as a Senior Fellow for IGE’s Center for Women, Faith & Leadership. As former Senior Advisor at the US Agency for International Development, Afeefa Syeed worked with USAID staff in Washington and the field developing policy, defining best practices, highlighting success stories, and otherwise building internal capacity and tools to frame country strategies that reflected greater expertise in engaging with the cultural contexts we serve. Palwasha L. Kakar is the senior program officer for Religion and Peacebuilding at the U.S. Institute of Peace (USIP). Kakar joined USIP after four years with The Asia Foundation as the Afghanistan director for Women’s Empowerment and Development. Prior to joining the Foundation, Kakar led the Gender Mainstreaming and Civil Society Unit in the United Nation Development Program's Afghanistan Subnational Governance Program managing a small grants program for Afghanistan's civil society initiatives. Kakar also served as program manager for The Gender Studies Institute at Kabul University. She has experience working with the World Bank Group on gender, social justice and the environment. Dr. Jennifer Bryson​, "Developments in Muslim Support for Religious Freedom"
Suhail Khan, "Muslim American Efforts to Counter Violent Extremism"
Jackie Ogega, "How Women of Faith Deploy Religious Resources for Peacebuilding"
Susan Hayward, "Intolerance and Inclusion in Myanmar"
Dr. Pauletta Otis​, "Refugees, IDPs and their Influence on Security Paradigms"
Asma Uddin, "Public Order and Public Morality: Uses and Abuses of the Legal Limits on Free Speech and Religious Liberty"
Marina Barnett, "ISIL's Recruitment in Central Asia: Security Risks in the Region & Beyond"
Pat Miersma, "The Role of Faith-Based Trauma Healing for Victims of Religious Persecution"
Katherine Marshall, "Women of Faith, Ambassadors of Reconciliation in Global Crisis"
Afeefa Syeed, "Advancing Leadership for Women of Faith: Practical Tools and Lessons Learned"
Arfken, Deborah E., Stephanie L. Bellar and Marilyn M. Helms. "The Ultimate Glass Ceiling Revisited: The Presence of Women on Corporate Boards". Journal of Business Ethics, Vol. 50, No. 2 (Mar., 2004), pp. 177-186. Barsh, Joanna, and Johanne Lavoie. Centered Leadership: A Leading with Purpose, Clarity, and Impact. New York: Crown Business, 2014. Barton, Ruth Haley. Strengthening the Soul of Your Leadership: Seeking God in the Crucible of Ministry. Westmont: InterVarsity Press. 2012. Boden, Alison L. Women's Rights and Religious Practice: Claims in Conflict. Basingstoke: Palgrave Macmillan. 2007. Cannon, Mae Elise. Just Spirituality: How Faith Practices Fuel Social Action. Downers Grove, IL: IVP Books. 2013. Coleman, Isobel. Paradise Beneath Her Feet: How Women are Transforming the Middle East. New York: Random House. 2010. Fiedler, Maureen. 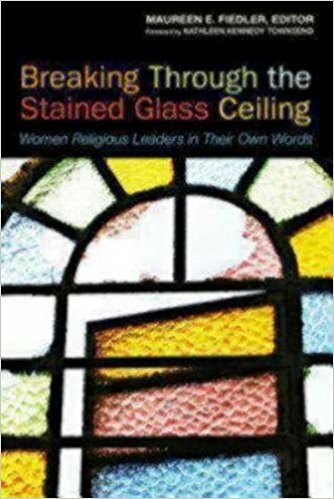 Breaking through the Stained Glass Ceiling: Women Religious Leaders in Their Own Words. New York: Seabury Books. 2010. Foroutan, Yaghoob. "Women’s Employment, Religion and Multiculturalism: Socio-demographic Emphasis." Journal of Population Research, Vol. 25, No. 1 (March 2008), pp. 63-90. Haddad, Yvonne Yazbeck, John L. Esposito, and Karen Armstrong. Daughters of Abraham: Feminist thought in Judaism, Christianity, and Islam. 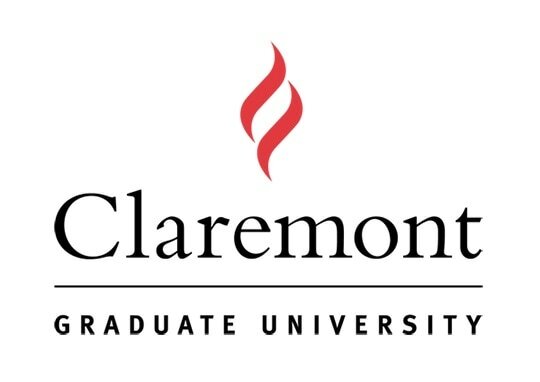 Florida, USA: University Press of Florida. 2002. Hafez, Sherine. “Women Developing Women Islamic Approaches for Poverty Alleviation in Rural Egypt,” Feminist Review, No. 97, religion & spirituality (2011), pp. 56-73. Helman, Ivy A. Women and the Vatican: An Exploration of Official Documents. Maryknoll, NY: Orbis Books. 2012. Huckerby, Jayne. “Why Women Become Terrorists,” The New York Times, January 21, 2015. Jacobs, Mignon R. Gender, Power, and Persuasion: The Genesis Narratives and Contemporary Portraits. Grand Rapids, Mich: Baker Academic. 2007. Keller, Rosemary Skinner, and Rosemary Radford Ruether. In Our Own Voices: Four Centuries of American Women's Religious Writing. Louisville, Ky: Westminster John Knox. 2000. Kouzes, James M., and Barry Z. Posner. A Leader's Legacy. New York, NY: John Wiley & Sons. 2008. Kwok, Pui-lan. Hope Abundant: Third World and Indigenous Women's Theology. Maryknoll, NY: Orbis Books. 2010. Lincove, Jane Arnold. “Growth, Girls' Education, and Female Labor: A Longitudinal Analysis,” The Journal of Developing Areas, Vol. 41, No. 2 (Spring 2008), pp. 45-68. Lundquist, Kristen. “At the Intersection of Islam and Human Rights: Gender, Identity, and Religious Freedom." The Review of Faith & International Affairs, Volume 9, Issue 2, Summer 2011, pages 75-77. Lundquist, Kristen. 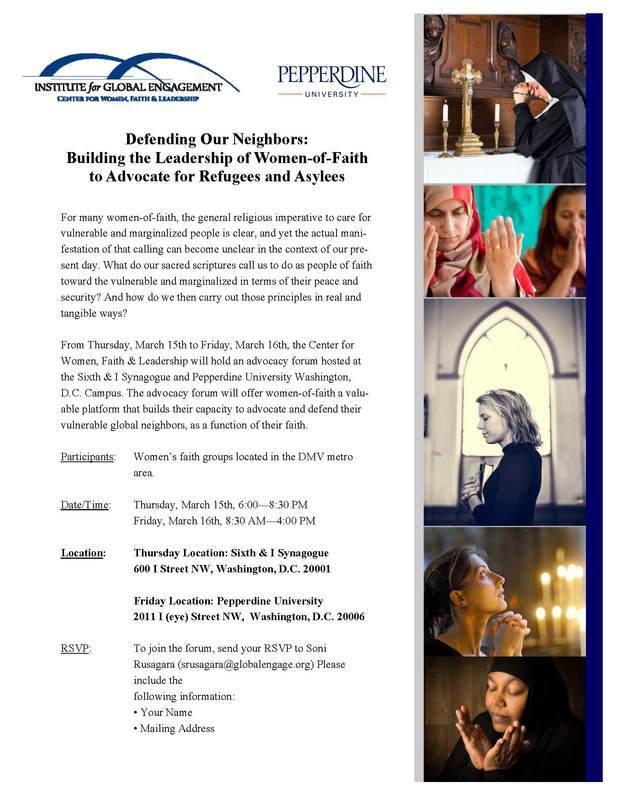 “Women, Religion, Peace, and Security in the Middle East,” GCST New Voices Series, (18). Global Consortium on Security Transformation (GCST). Mallouhi, Christine A. Mini-skirts, mothers, and Muslims: modelling spiritual values in Muslim culture. [Place of publication not identified]: [publisher not identified]. 1997. Marshall, Katherine, and Susan Hayward. 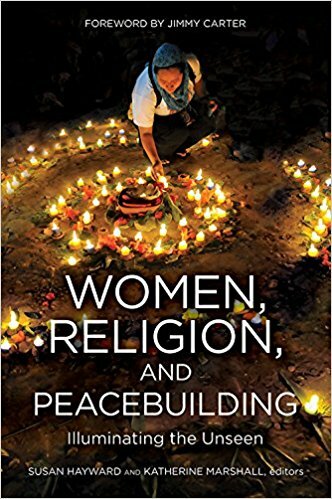 Women, Religion, and Peacebuilding: Illuminating the Unseen. Washington, DC: United States Institute of Peace, 2015. Print. Marshall, Katherine. “Development, Religion, and Women’s Roles in Contemporary Societies,” The Review of Faith & International Affairs, Volume 8, Issue 4, Winter 2010, pages 35-42. Mencken, Carson F., and Jiexia Zhai Autry. "Risk Aversion, Shortage Economy, and Gender Differences in Religious Activities in China," Sociological Focus, 46 (2): 106-118. 2013. Metcalfe, Beverly Dawn. “Women, Management and Globalization in the Middle East” Journal of Business Ethics, Vol. 83, No. 1, Women, Globalization and Global Management (Nov., 2008), pp. 85-100. Noor, Noraini M. “Work and Women's Well-Being: Religion and Age as Moderators,” Journal of Religion and Health, Vol. 47, No. 4 (Dec., 2008), pp. 476-490. Norton, Seth W., and Annette Tomal. “Religion and Female Educational Attainment,” Journal of Money, Credit and Banking, Vol. 41, No. 5 (Aug., 2009), pp. 961-986. Oman, Maggie. Prayers For Healing: 365 Blessings, Poems & Meditations From Around the World. Berkeley, Calif: Conari. 2000. Plaskow, Judith. “We Are Also Your Sisters: The Development of Women's Studies in Religion,” Women's Studies Quarterly, Vol. 25, No. 1/2, Looking Back, Moving Forward: 25 Years of Women's Studies History (Spring - Summer, 1997), pp. 199-211. Press, Robert M. “Guided by the Hand of God: Liberian Women Peacemakers and Civil War,” The Review of Faith & International Affairs, Volume 8, Issue 1, Spring 2010, pages 23-29. Read, Jen'nan Ghazal. “Family, Religion, and Work among Arab American Women,” Journal of Marriage and Family, Vol. 66, No. 4 (Nov., 2004), pp. 1042-1050. Richardson, Jan L. In the Sanctuary of Women: A Companion for Reflection & Prayer. Nashville, Tenn: Upper Room Books. 2010. Thistlethwaite, Susan Brooks. 2015. Women's bodies as battlefield. Christian theology and the global war on women. Basingstoke: Palgrave MacMillan. Tippett, Krista. 2014. Speaking of faith: why religion matters--and how to talk about it. New York: Penguin Books. http://rbdigital.oneclickdigital.com. Toft, Monica Duffy. “The Invisible Woman,” The Review of Faith & International Affairs, Volume 11, Issue 4, Winter 2013, pages 37-40. Walter, Tony, and Grace Davie. “The Religiosity of Women in the Modern West,” The British Journal of Sociology, Vol. 49, No. 4 (Dec., 1998), pp. 640-660. Ward, Benedicta. 1987. Harlots of the desert: a study of repentance in early monastic sources. Kalamazoo, Mich: Cistercian Publications. http://books.google.com/books?id=_OzYAAAAMAAJ. Watling, Tony. “'Leadership' or 'Dialogue'? Women, Authority and Religious Change in a Netherlands Community,” Sociology of Religion, Vol. 63, No. 4 (Winter, 2002), pp. 515-538. Werhane, Patricia H. “Women Leaders in a Globalized World,” Journal of Business Ethics, Vol. 74, No. 4, Ethics in and of Global Organizations: The EBEN 19th Annual Conference in Vienna (Sep., 2007), pp. 425-435. Yabiku, Scott T., and Sarah Schlabach. “Social Change and the Relationships between Education and Employment,” Population Research and Policy Review, Vol. 28, No. 4 (Aug., 2009), pp. 533-549.